WASHINGTON — Dockless bikes and scooters will stay on D.C. streets at least for a few more months, after the District decided to extend its current pilot program. The District Department of Transportation says the demonstration project, designed to determine if dockless bikes (and now scooters) are a viable option for D.C. commuting options, will now run through August. The pilot program launched in September and was scheduled to wrap up at the end of this month. “Mayor [Muriel] Bowser sees the potential of the new mobility choices that the private sector has been able to bring to the dockless demonstration project,” said DDOT Director Jeff Marootian. Seven private companies are currently operating dockless bike and electric scooters in the District. The bike companies are Jump, Spin, ofo and Mobike. Waybots and Bird operate electric scooters. LimeBike has both scooters and bikes. Complaints since the pilot program began have been largely about where the bikes and scooters are being left — often in the middle of sidewalks or on private property — as there is no dedicated docking system. Between now and August, DDOT will work to find remedies to concerns raised by D.C. residents, and it will continue to collect data to evaluate the program’s impact through the warmer months. DDOT is soliciting public input online at dockless.bikeshare@dc.gov. 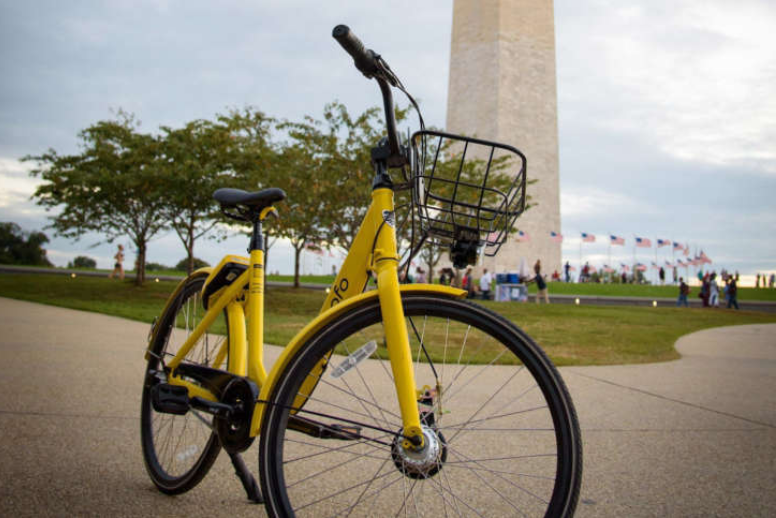 The private dockless bike and scooter companies are unrelated to D.C.’s Capital Bikeshare program, which uses dozens of stationary docks throughout the District. DDOT calls dock-free biking options a supplement — not a replacement — to Bikeshare.